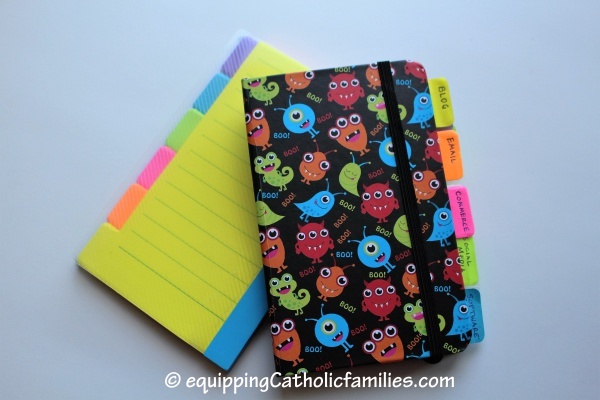 Equipping Catholic Families …with Traditions for Ordinary Time! Sometimes we feel a little down when the official Christmas season is over. It’s hard to jump enthusiastically into Ordinary Time, because it sounds so, well, ordinary! But Catholic living can add so much richness to our every day life and celebrating our Faith and family culture can be an active pursuit all year long! Here are ten ideas to foster your own family culture…while integrating the richness of our Catholic Faith with Saints, Sacraments, Scripture, Catechism and Prayer! 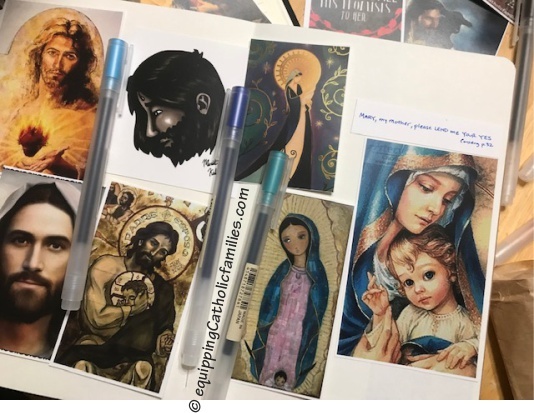 All of our Cathletics Craft Kits come with permission to copy for family use and they’re packed with Catechism, Saints, Sacraments and Prayer to get you started, but we’ve included other helpful links too! Equipping Catholic Families for December Feasts and Saints Days! 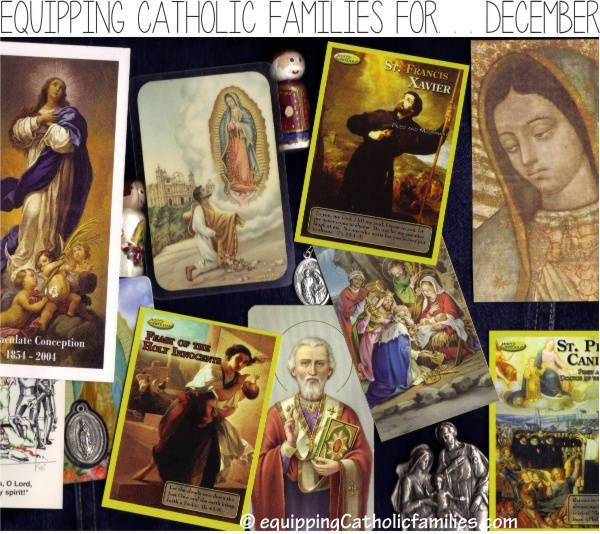 Equipping Catholic Families for December Saints! 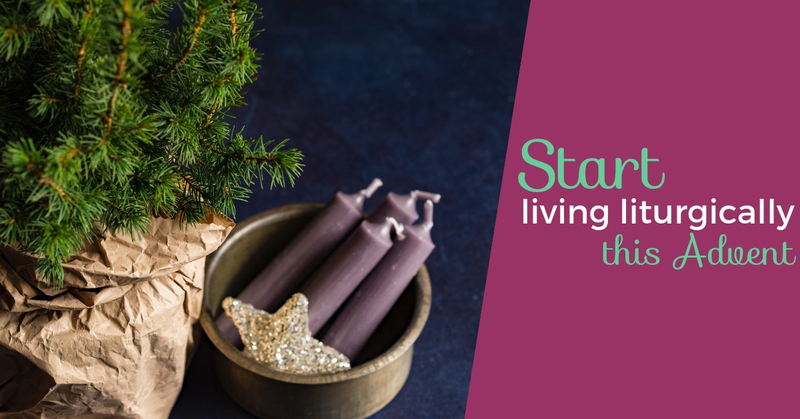 Both the month of December and the season of Advent begin this weekend! Here is our monthly summary of crafts and family traditions related to the Monthly Devotion, Key Feast Days and the appropriate Season of the Liturgical Calendar. Check out the St Nick Bundle at the Arma Dei Shoppe for great stocking stuffers! on sale until December 13/2018! Season of the Liturgical Calendar: Advent! The Advent Calendar is a great way to countdown the days until Christmas. You’ll find lots of chocolate covered ones in the stores now, but you can make your own and fill it with dollarstore Nativity figures, holy medals, Saint pegs, Super Saints, printable Advent Quest challenges and of course your favorite treats or chocolates. There are so many ways to make an Advent Calendar (including this one we made years ago) and we found 35 [Awesome} DIY Advent Calendars here. Sock Baby Jesus Workshop in time for Advent! Last Sunday (a whole week before Advent begins!) we hosted a Sock Baby Jesus in a Clementine Crib Workshop and we had a lot of fun! First, we collected the materials we would need and even made a new Sock Baby Jesus just to make sure that we weren’t forgetting anything. The kids co-operated by eating their way through 3 crates of Clementine oranges and our friend Michelle brought 3 additional crates as well! and purchased separately, these 20 Catholic Resources would cost $246. But for 5 days we’re selling all of these products as a bundle for only $25. 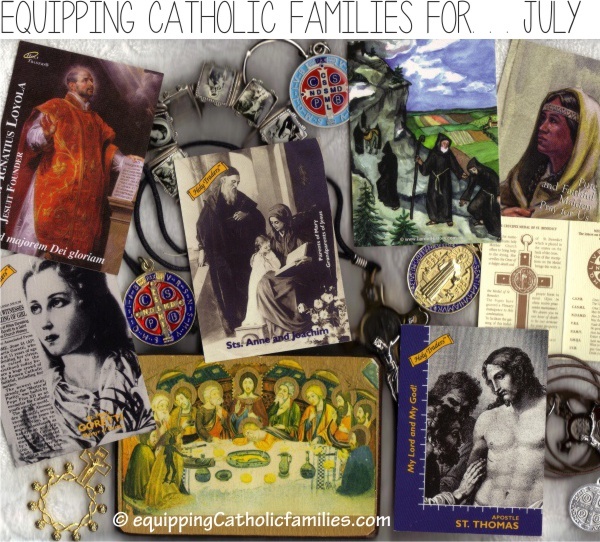 Equipping Catholic Families for JULY Saints! We’ve put together a quick summary of Catholic Crafts for July Saints and the Monthly Devotion of The Precious Blood of Jesus. Summer is a great time for a little extra crafting…so we also present Equipping Catholic Families…for Summer with the Saints! 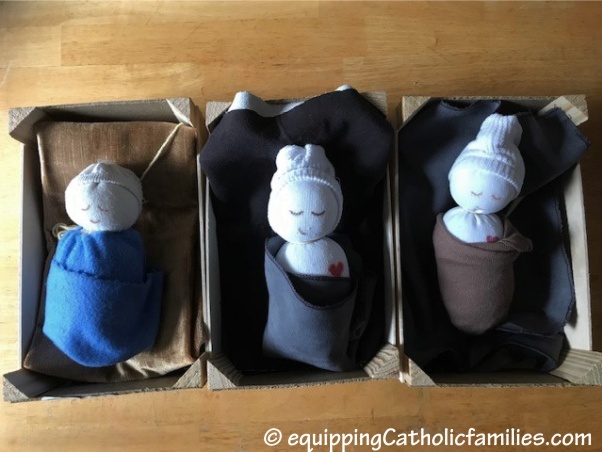 Here at Equipping Catholic Families, we usually post about Catholic crafts, activities and traditions to help celebrate the Catholic Faith at home. 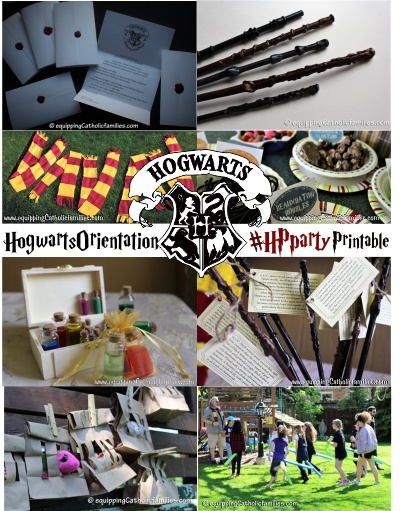 As a family, we also happen to be avid Harry Potter fans….and epic backyard birthday party planners. This post shows how we combined the two (and made a 36-page FREE printable in the process). I know that some of my subscribers may not be big Harry Potter fans and I’m just hoping that you’ll consider reading this really great article by Kendra at Catholic All Year before you post an angry or concerned comment about the dangers of Harry Potter. So I found this audio mysteriously on my ipod. 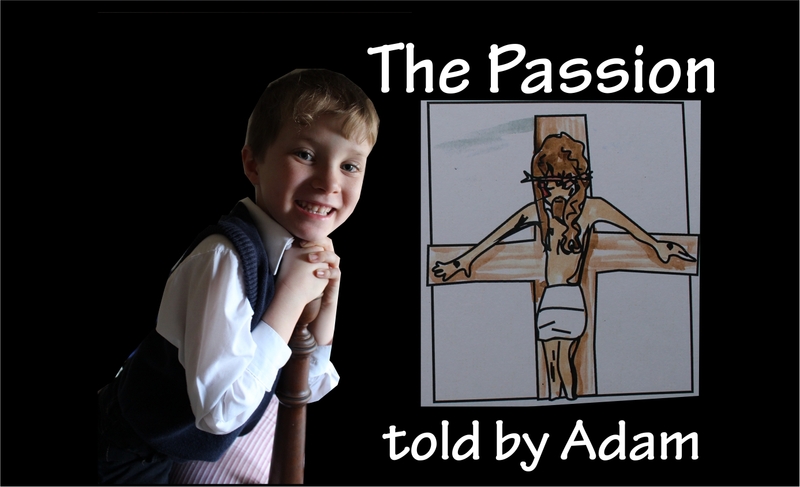 I vaguely remember Bridget recording Adam telling his version of The Passion. This is totally unscripted. I’m just sad that he no longer calls palm branches “pom poms”. Sync your Schedule with the Saints! How is your new school year turning out? This September, I decided to get a little more organized and try out a couple Planners, a new approach to prayer journaling, take a stab at bullet journaling and reign in a plethora of passwords. I checked out a number of secular planners and calendars including cheap little ones from the dollar store and this beautiful Happy Planner.